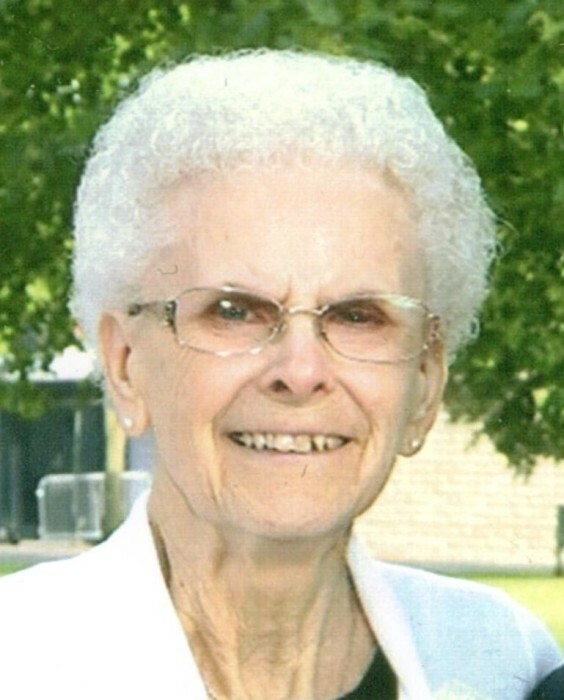 Margaret J. Scherer, 82, passed away December 2, 2018. Born in Akron, Margaret has lived in the Akron area all her life. She retired in 1958 from Betsy Ross Foods after two years of service. Margaret was a member of Akron Baptist Temple, Tallmadge PrimeTimers, and Red Hat Group. Margaret is survived by her husband, Donald E.; sons, Steven (Diana) Scherer of Dover and Brian (Ann) Scherer of North Canton; 11 grandchildren; eight great grandchildren; brother, Kermit (Jackie) House of Georgia, and brother in law, Bruce (Susan) Scherer of North Carolina; sister in law, Karen (Bill) Spurrier of Manchester, and many nieces and nephews. Visitation will be 4 until 8 p.m. Wednesday, December 5, 2018 at the Donovan Funeral Home, 17 Southwest Ave. (On the Historic Tallmadge Circle). Funeral Services will be 2 p.m. Thursday, December 6, 2018 at the funeral home with Chaplain Dave McBee officiating. Interment will take place at Hillside Memorial Park. In lieu of flowers, memorial donations may be made to Crossroads Hospice, 3743 Boettler Oaks Dr., E, Uniontown, OH 44685.